As so many businesses do, Great Lakes Bath & Body (GLBB) in downtown Traverse City started off as a hobby and gradually grew into a “real thing.” Lynn Rodenroth had been dealing with sensitive skin for years and was constantly on the hunt for a high-quality, all-natural remedy. Since she enjoys what she calls “knotty problems,” she began researching ways to create her own soap. Soon, she realized she could make something herself that was far superior to anything she found on the market. She spent many hours learning how to create various formulas, and trial and error was her best friend. Rodenroth has now been through three levels of certification and is a Master Soapmaker. Rodenroth stresses that her products are created with plant-based ingredients and are built using simple, clean formulas. 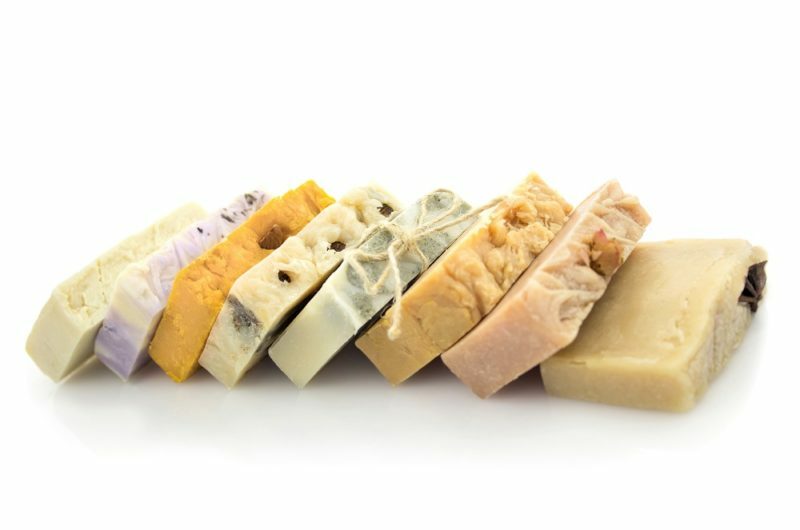 She is proud to hold true to using the traditional cold process method but with updated techniques, including aging the soap for 30 days. The result? Some of the highest-quality soap you will find anywhere. Rodenroth knows from experience that the traditional method of soapmaking is the best and only way to get a well-balanced bar of soap. The recent increased popularity of essential oils has opened the door for new scents that will rejuvenate the body, relax the mind, and melt away stress. Rodenroth explains that one of the magical by-products of the traditional soapmaking process is the creation of glycerin in addition to the soap. Glycerin is a humectant, which means it draws moisture from the air to hold on your skin. It’s like having lotion in your soap. “You will not find that in mass-produced soap,” she said. In addition to their superb line of soaps, GLBB creates an amazing collection of lotions, body butter, lip balms, and more. One product that has risen to the top of the best-seller list is bath salts. “Bath, or soaking salts, offer amazing health benefits. They can relieve stiffness in joints, ease muscle cramps, and give relief from arthritis pain as well as detoxify the entire body through the skin,” says Rodenroth. GLBB soaking salts are created from a perfect blend of high-grade sea and Epsom salts. A good portion of the customers who visit GLBB are looking for something to solve a problem or just want something better for their families. With ten years under her belt, Rodenroth certainly offers just that. Visit Great Lakes Bath & Body in person, and you just might get to watch the experts in action.